"Sympathy for Theresa May? That's lethal". 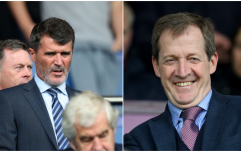 Alastair Campbell was this week's guest on Ireland Unfiltered, . Speaking to Dion Fanning on an episode of Ireland Unfiltered that will be broadcast on video and audio this Tuesday, 20 November, Campbell spoke about how “Brexit is like an implosion”, why he believes there should be a second referendum, his battles with alcohol and when his brother was diagnosed schizophrenia. Of course the topic of Theresa May came up in conversation, for how could it not after the past few days of turmoil in the UK with cabinet ministers resigning and a no confidence motion looming large on the horizon. But he rejected out of hand the suggestion that we should be feeling sorry for May. Dion Fanning: There's been a surge of sympathy recently. Alastair Campbell: That's lethal. That is lethal. Dion: You don't think that's admiration for her resilience? AC: I think people do admire her resilience and I think that people do feel like she has a really strong sense of duty and I think people feel that, they'll give her that. I once had this conversation with Bill Clinton. Tony [Blair] had asked me to go see Bill Clinton to talk about myself because I was at a period where there was a real crossroads in my life and I was getting battered left, right and centre and I was thinking of leaving. We ended up talking about Tony and I can remember Clinton saying about Tony, he said ' Sometimes I get the feeling he thinks he should get a blue ribbon for doing the job. The job is the blue ribbon.' It's such a privilege to do the job. So I think that once you start to say about leaders, 'I'm beginning to feel sorry for her', that's a bad place to be. Dion: I'm not sure how she can think it's a privilege to be Prime Minister at the time she became Prime Minister, considering post-Brexit, it's been all anyone has ever talked about in Britain since. AC: That's partly because of the way that she's been handling it. Look, I accept it was a very difficult thing to pick up. I don't think it's ever not a privilege to be Prime Minister. 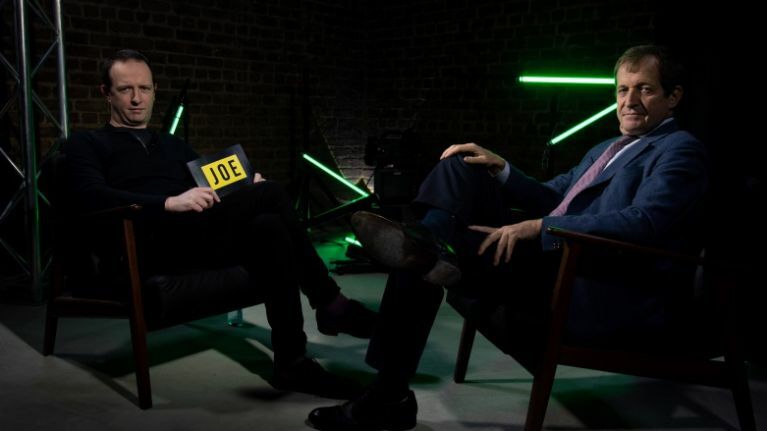 You can listen to the fifth episode of Ireland Unfiltered, Dion Fanning in conversation with Alastair Campbell from this Tuesday, 2o November by simply subscribing here, and you can use #IrelandUnfiltered to join the conversation on social. Ireland Unfiltered, brought to you in partnership with Carlsberg Unfiltered, will be available everywhere you get your podcasts and on YouTube every Tuesday.